On D1 chart, the price reversed around the level of 1.0131 ([6/8]) and corrected to the center of the Murrey trading range to 1.0009 ([4/8]). A further decrease is possible to the level of 0.9948 ([3/8], the lower line of Bollinger Bands, the lower border of the ascending channel). However, one should consider that Stochastic entered the oversold zone, which limits the potential for decline. 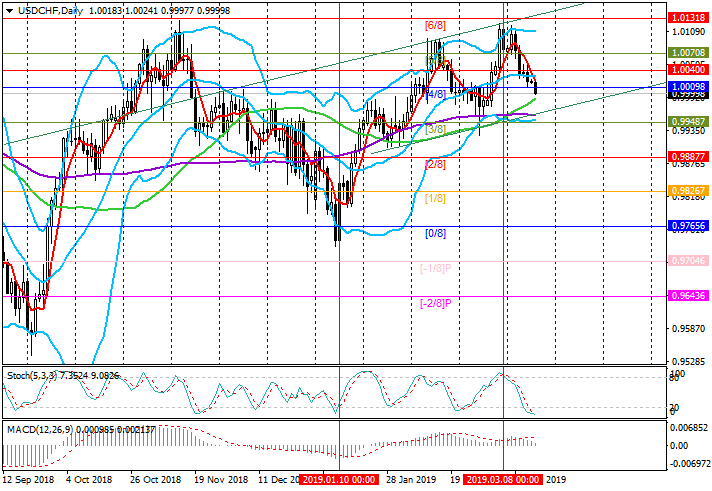 The continuation of growth will be possible after the reversal of the instrument near 0.9948 or when the price consolidates above the midline of Bollinger Bands. In this case, the pair may again rise to the level of 1.0131. But so far this scenario seems less probable. 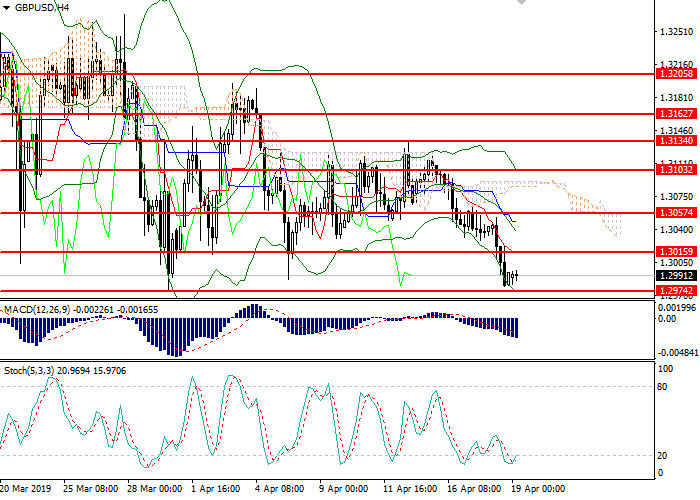 Short positions may be opened from the current level with the target at 0.9948 and stop loss at 1.0030. Long positions may be opened from 1.0040 or 0.9948 with the target at 1.0131 and stop loss at 1.0000 and 0.9900, respectively.